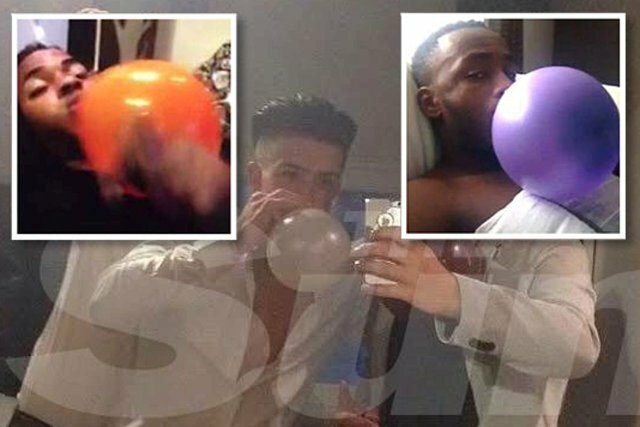 Aston Villa youngster Jack Grealish is the latest high-profile Premier League footballer to be photographed experimenting with inhaling laughing gas from a balloon, according to reports. The 19-year-old made the headlines for all the right reasons last weekend as he starred for Villa in their FA Cup semi-final win over Liverpool, though he now risks joining other controversial players in becoming a cause for concern with his activities off the pitch. According to The Sun, Grealish has been exposed in the same way that Liverpool winger Raheem Sterling and West Bromwich Albion striker Saido Berahino have been in recent weeks, taking the dangerous legal high of nitrous oxide. Villa have supposedly declined to comment on the picture that has appeared online, but it could be that the player will face a punishment for his actions, which do not go hand in hand with being a professional athlete focused on health, fitness and improving one’s game.